I grew up with the Harry Potter series books and then movies. From the very first time I read about wizards and witches in a Magical school for children I was hooked. 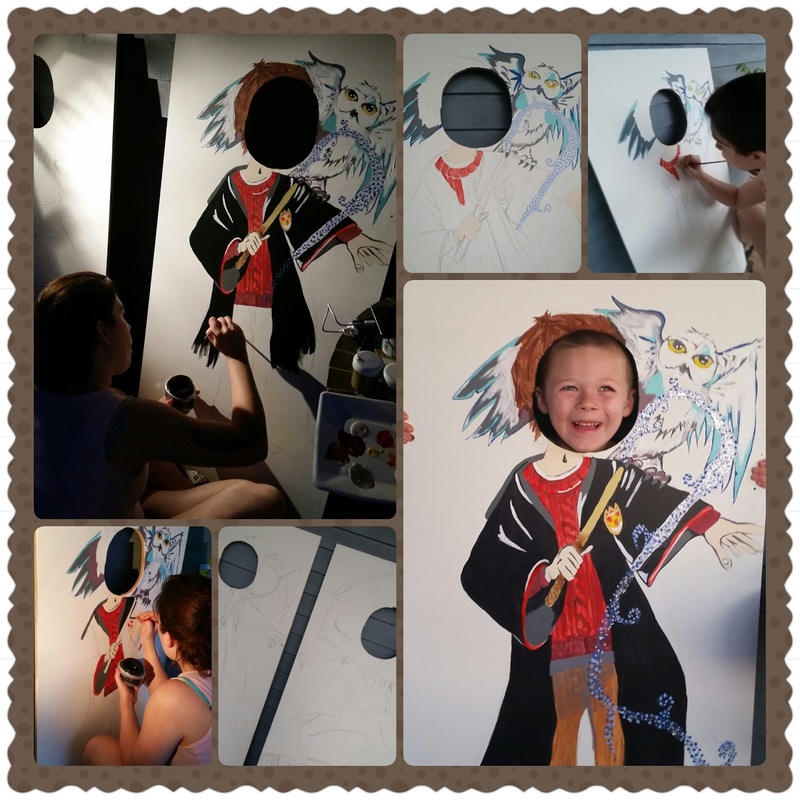 When my five year old started to show interest we took him to Universal Studios to see Diagon Alley and Hogsmeade. That was not enough he wanted to bring home the magic for his 6th birthday party. This party took a month to complete with all of the detailed work I created, made, crafted instead of purchasing. 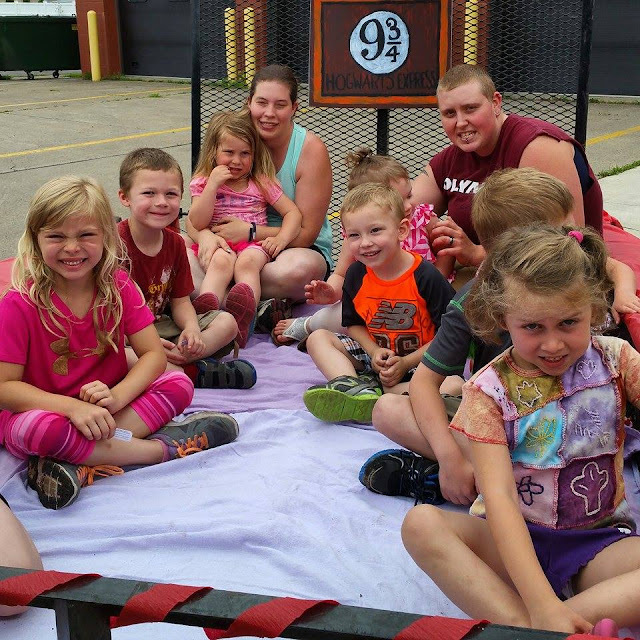 We first started the kids off with a ride on the Hogwarts Express. 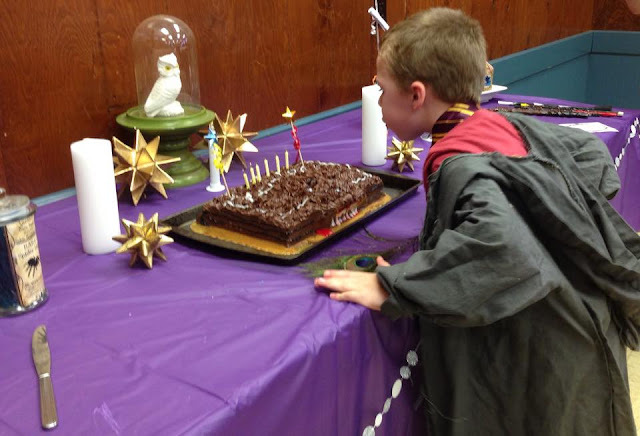 I wanted the kids to feel as though they traveled to the Magical school just like in the story. When they arrived at Hogwarts we had them team up and play the famous game of Quidditch! They loved this game so much we actually went back outside and let them play!! Next we moved to Potions Class. This was so much fun!! I found some great potions to make on Pinterest!! Great resource and the kids had so much fun mixing and brewing new bubbly creations. Since my son is such a Harry Potter fan I had to get all the details very similar. 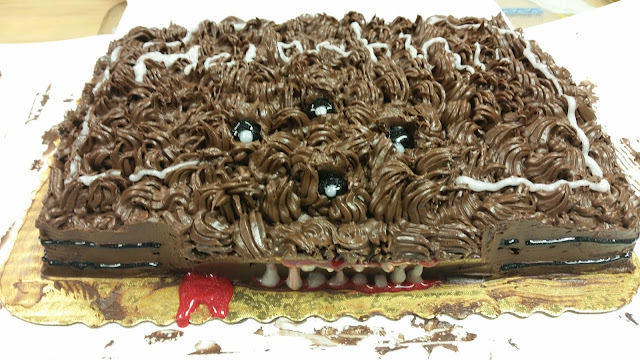 He wanted the Monster book to be incorporated somehow so we choose it for the cake. I simply had the bakery make a cake and chocolate frost it with a "Grass" tip. Then on the party day I went in and added all the details. He was so excited, I thought he was going t cry! 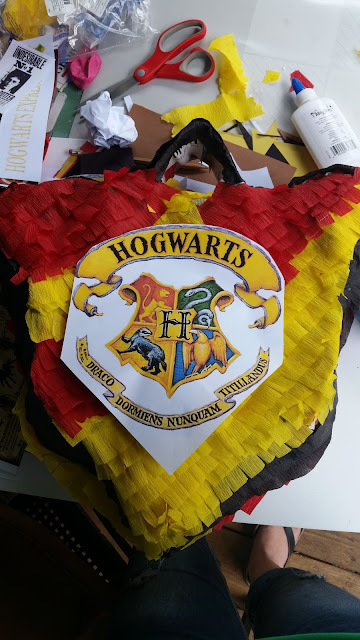 He wanted a pinata but we could not figure out what to create this year. I thought perhaps Harry's owl BUT he didn't want to hurt her by hitting it with a bat. So I decided on the Hogwarts Crest. Simply blow up balloons into the figure you want, paper mache and then add streamers to make. We added plastic toys, bouncy balls and light things. Wands were also a huge hit with kids. I created these with drift wood, hot glue and paint!! Chocolate Frogs (box pattern found online), labels and every flavor jelly beans. Lastly we had photo props. I bought a wood panel and then painted them. This was one of the best parties I have thrown him in my opinion. I spread the projects out over a month so I didn't get to over loaded. It didn't cost very much since I made pretty much everything. You did an awesome job making a special party for Mac and his friends!!! Thanks for including us. 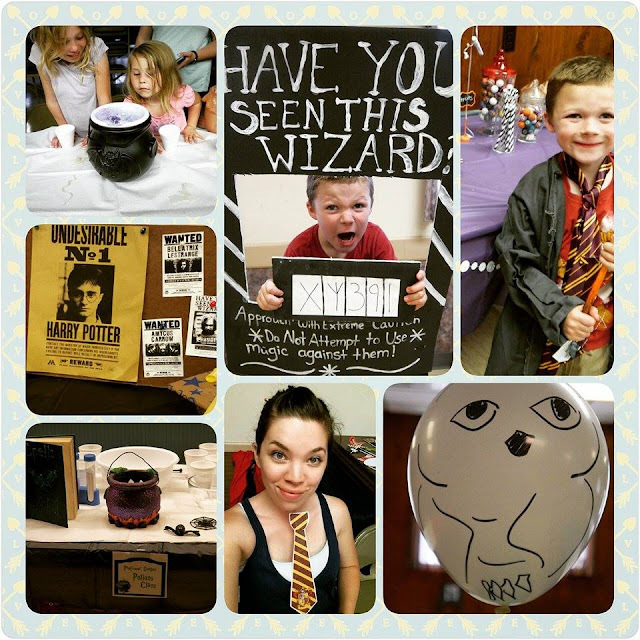 What great ideas for a Harry Potter themed Birthday Party. I bet a great adventure was had by all.